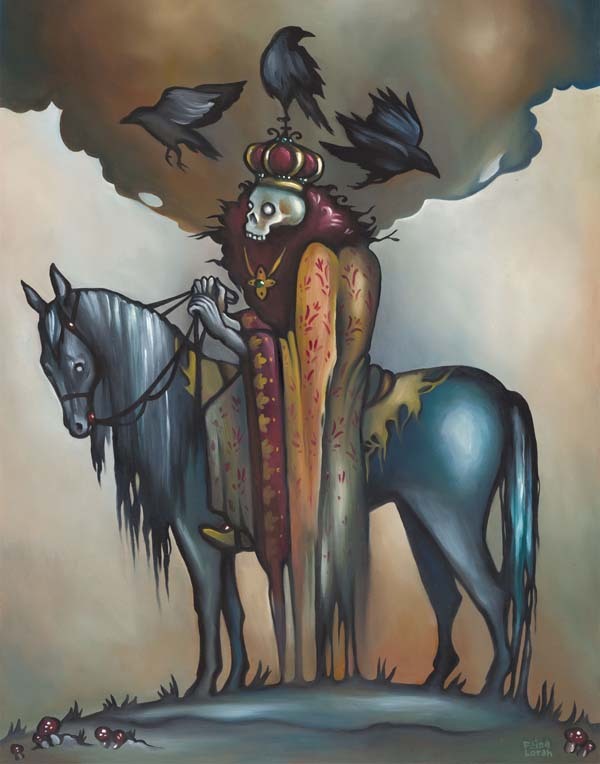 Koschei the Deathless is a popular villain in Russian, Ukrainian, Polish, and Czech fairy tales. He is a powerful sorcerer that achieves immortality by hiding his soul outside of his body. Legend goes that the only way to kill him is to find and destroy his soul. Unfortunately, his soul happens to be inside of a needle, which is in an egg, which is in a duck, which is in a hare, which is in an iron chest, which is buried under a great oak tree on an island that doesn’t exist. Read a fairy tale about Koschei here! Paintings, prints, and books are available for sale online. Please visit my shop. Thank you!